The rich vibrant yellows and reds are what epitomize the Fall season for me. They also represent warm and comforting colors. Trees which produce leaves of these colors are the familiar maple, red oak, yellow wood and sassafras. My favorites leaves are those of the sassafras and the Japanese maple for their natural shape and intricate design. 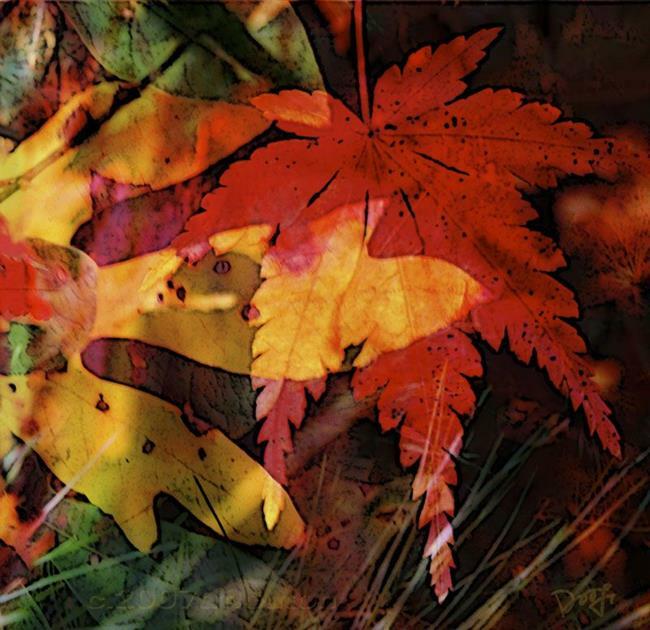 For this reason I have chosen to represent Fall with a blend of Japanese maple and Sassafras, digitally captured and minimally processed in Photoshop.